Travel & Tourism website Designing Company Bikashsoft Technology has been providing service to the client since 2010 and till today’s date, it is still giving its best to do so. In order to gain the perfect the outcome, a perfect team is the most and guess it seems like Bikashsoft Technology has it all for being able to give out the best to the clients. Bikashsoft Technology has been established with innovative advanced methodologies to provide high scale business solutions to the clients. Bikashsoft Technology provides various facilities to the clients. CMS Development refers to the Content Management System Development which is essential to attract the visitors. Generally, CMS is an application on your desktop which allows publishing, editing as well as modifying content, organizing, maintenance and deleting from a central interface. As the time passes by, the strategy of marking has also been changed. In this digital marketing period, if u want to run a successful business then you got to have the best website and to do so Bikashsoft is here. With the 7 years of experience in website designing, Bikashsoft Technology has developed over 800 websites and delivered to the clients. Not only website developing, Bikastsoft also provides the SEO service to its clients. SEO is Search Engine Optimization, Digital Marketing which basically means to make your website or web page visible in the first few pages of the search engine. You’ll have a higher chance of business only if the visitors go through your website and know about you. 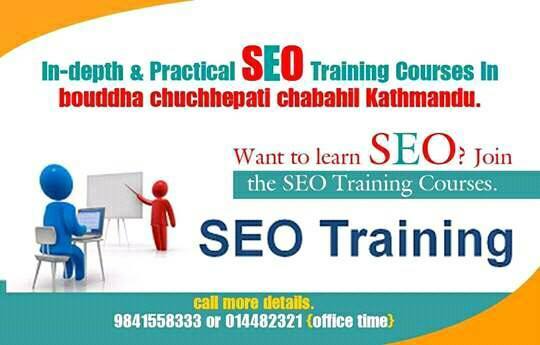 If you are planning to learn something then you better start learning about SEO. In this digital marketing era, SEO plays the vital role to take the business level in the height of Mt. Everest. So, it’s time for you to mend your mind and join the right path for your future. Be a part of Bikashsoft Technology and learn more about on and off page website optimization. Similarly, Bikashsoft Technology also provides services app development service to the client. If you have an application for your website then it will be easy for the client to check the updates of your website directly through the phone. Time is money so everybody wants things to be quickly done. Travel & Tourism Trekking Website Designing Company Bikashsoft Technology is located at Chuchepati, Chabahil, Kathmandu Nepal near to the Hayat Regency. You can get in touch with Bikashsoft Technology through phone, email, and web.